Combine the red wine vinegar, olive oil, Dijon mustard, garlic, salt and pepper in a small bowl and whisk together for the marinade. 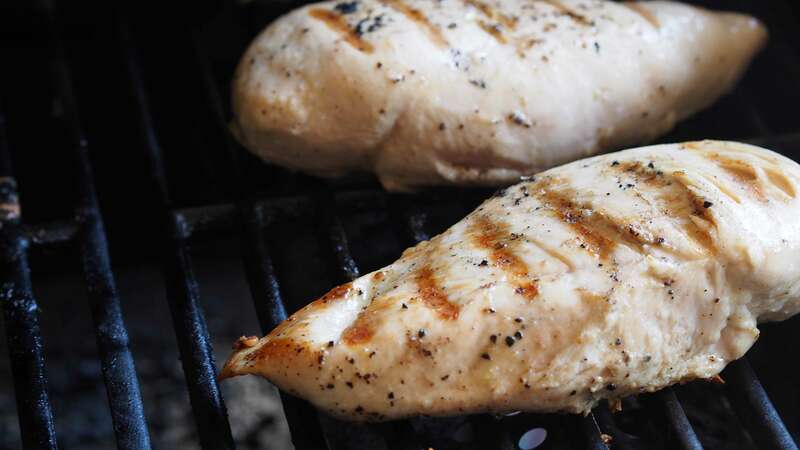 Place the chicken breasts and the marinade in a sealable plastic bag and let the chicken marinate in the refrigerator for at least 1 hour or overnight. Preheat the grill. Remove the chicken from the marinade. Grill the chicken about 4 inches from the heat source for about 8 to 10 minutes per side or until the breasts are cooked through. If using a digital thermometer, the chicken is done when the internal temperature registers at 165 degrees.